Dear readers, it has been some time since we have posted a blog. Although we have been missing in action online we have still been having some adventures. 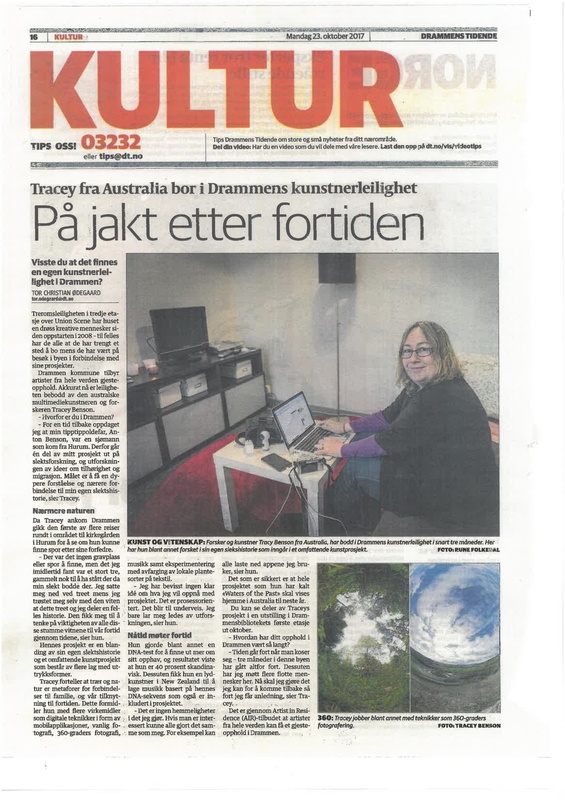 For example, Tracey was in Norway for three months doing some creative research into her ancestry. Her project Waters of the Past has resulted in some wonderful collaborations and connections. The project was also presented in a number of exhibitions and symposium, such as Balance UnBalance 2017 and RIXC Open Fields 2017. This year we don’t plan to go too far from home ground. We have lots of short trips planned and we look forward to sharing with you some of the great places we enjoy here in the Australian Alpine region – better known by Aussies as ‘the high country’. We will publish a new article from us each month as well as feature some guest writers. Contact us if you would like to submit something for publication. This post is a dedication to the lovely Johanna TG326, our main mode of transport when we were in the Faroe Islands on a residency with The Clipperton Project. Johanna was built in Rye, Sussex in the South of England in 1884 at the famous shipyard owned by James Collins Hoad. Johanna was initially named Oxfordshire, with the first owner being John William Haylock from Dulwick in Surrey. In October 1894 Grimsby shipownder Greorg Edv. James Moody bought the Oxfordshire, though sold it December 1894 to Jákup Dahl, a general merchant in Vágur in the southern most island of the Faroes, Sudaroy. 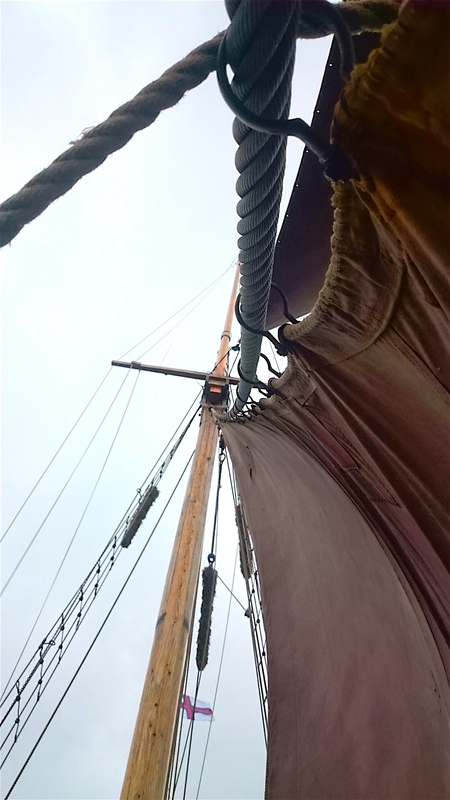 It was the first sloop owned by Dahl, who later established the company A/S J. Dahl and purchasing several sloops and schooners over the next thirty years. A/S J. Dahl was one of the most important companies in the Faroes in the 20th century, operating more than 20 sloops and schooners and having several other businesses in Vágur. The Johanna was part of the companies fishing fleet until the outbreak of WW2, when most of the Faroese sloops began to ice fish for the British market. Johanna remained part of the fleet as a fishing vessel until around 1972. 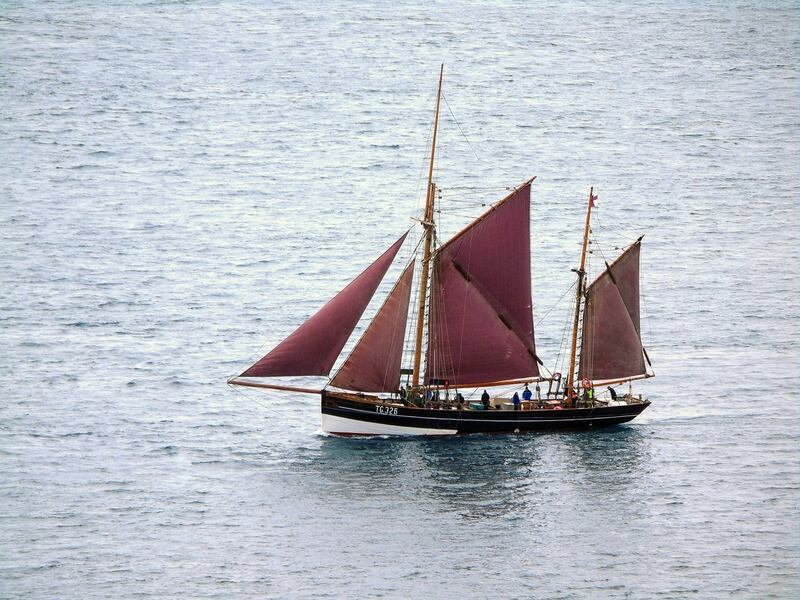 In the early 1970s only a few sloops remained in the Faroes, one of them being the Joahnna. From 1972, she remained in the Vágur harbour and was considered a nuisance. In 1980 A/S J. Dahl planned to sink Johanna, which had been the fate of many of the other sloops. 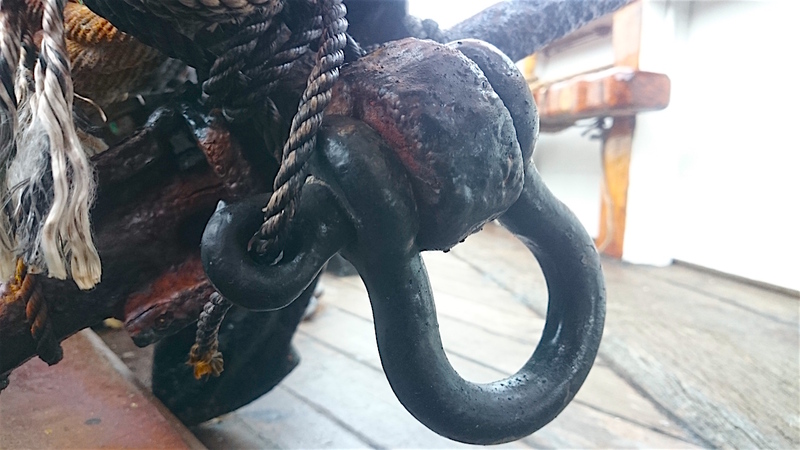 The Johanna was saved at the last-minute when a trust was formed to save Johanna and restore the sloop to the original condition. In 1981, The Trust Johanna TG326 bought the sloop Johanna from A/S J. Dahl for one Danish Kroner. It took eight years to fully restore the Johanna, many timber parts have had to be replaced, but today the Johanna still retains her elegant shape and form. 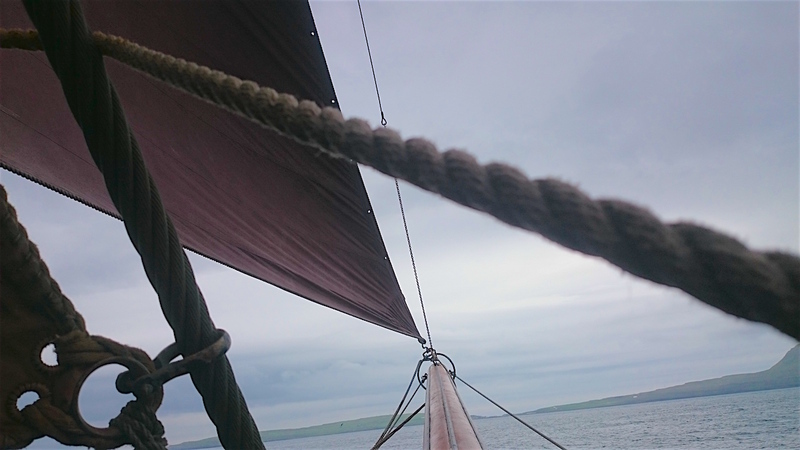 The day we sailed into Sandoy was really special as another sloop, the Westward Ho docked beside us. 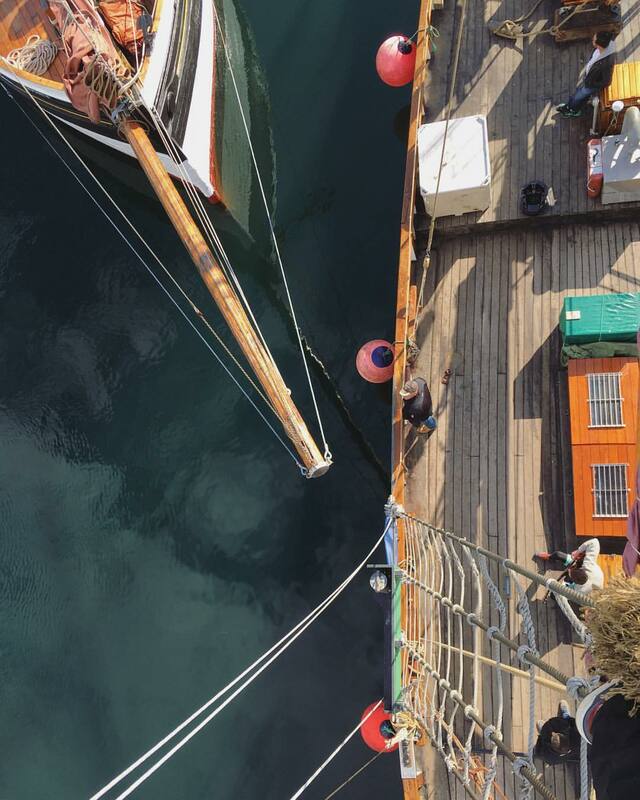 Check out this great picture from Mhairi Law when she climbed up the mast. Here are some more pictures of some of the details of the Joahnna. Yesterday was an amazing day as I set off with some of the artists from the SIM Residency on a road trip to the Snæfellsnes peninsula, north-west of Reykjavik. Our first stop was the historic town of Borgarnes, where we went to the Settlement Center. We had a lot of fun in the exhibit, where there are some 3d fibreglass interactive maps, a bow of a ship that moves and some great information about the early days of the Icelandic Sagas and the creation of the parliament in Iceland in 930AD (located in Þingvellir). Lots of buttons were pressed and plenty of laughs were had on the recreation of the viking boat. We also took a few pictures of the fjord behind the museum. From there we headed to Stykkishólmur, where we enjoyed some great fish and chips on the wharf before heading to the Library of Water and checking out the incredible church. We took our time heading west, taking lots of photographs along the way before stopping at Ólafsvík and checking out the triangle church. Everywhere we went there were lava fields – I was amazed at how soft they felt – I always imagined them to be really hard. I think they would be dangerous to walk on as you could fall through the sections that are sparsely covered, or covered in moss. The next stop was at the Saxhóll Crater, where you walk 300 metres up a flight of stairs to arrive at the top of the crater. There are fantastic views of the surrounding landscape, especially the Snæfellsjökull volcano. The Snæfellsjökull volcano, glacier and surrounding landscape was the inspiration for Jules Verne’s Journey to the Centre of the Earth, which incidentally was one of my favourite books as a child. Although we were keen to go to the glacier, we were informed that it takes about five hours, you need shoes with metal spikes, an all-wheel-drive vehicle – none of which we had. We also learnt that much care was needed as there were cracks in the glacier as it is summer. We decided that it might be better to go with a guide another time. On the way back to Reykjavik,we were so lucky to see some Gray Seals at Ytri Tunga. When we arrived we were told by some other tourists that there was only one on a rock, but we thought it was worth walking along the beach anyway. When we got close to the rocks we saw the big one basking on a rock and then over the next 20 minutes around half a dozen appeared. Also the sun was just gorgeous, sparkling and golden as it was reflected on the water. Here is a short video of the seals – it is bit wonky as I only had my phone with me. After leaving at 10am, I finally arrived home by around 1.30am – a huge day and biggest thanks to the awesome driver Ella <3. It was an amazing day and a taste of what an incredible place Iceland truly is. The past few days have been much of a blur since finishing the residency with The Clipperton Project. I arrived in Reykjavik to enjoy a few days as a tourist before starting my residency with The Association of Icelandic Visual Artists (SÍM) at Korpúlfsstaðir. The residency is located in what used to be Icelands largest dairy farm, on the outskirts of Reykjavík with gorgeous view of Mt. Esja. Korpúlfsstaðir has 40 SÍM artist studios, a textile workshop, a ceramic workshop, an artist run gallery as well a golf club with a golf course outside. I have also heard you can get a good coffee from the golf course. When I first arrived in Reykjavik, I stayed in a lovely AirBnB on Laugavegur, one of the main tourist streets. 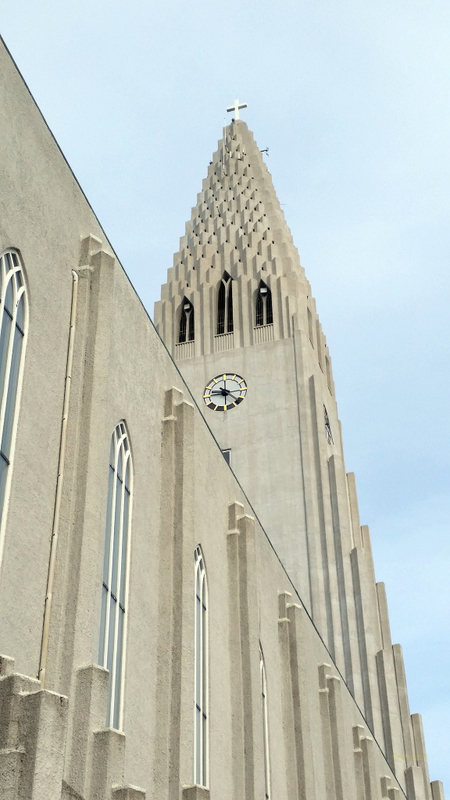 It was very handy to walk to lots of places including the Hallgrímskirkja Cathedral and museums and galleries downtown. Yesterday we caught the ferry from Sørvágur on Vágar to Mykines – the most westerly island in the Faroes. Mykines is a beautiful place, famous for its Puffin population and beautiful cottages with grass roofs. The other thing Mykines is well-known for is the unpredictability of its weather, which affects reliable transport to the island. The ferry only runs during the Summer months and if there are southerly or westerly winds then the ferry cannot dock. The other transport option is helicoptor, but it is also reliant on the weather. Yesterday the TCP crew went on a bit of an adventure to Kirkjubøur, a historic village located on the southern point of Streymoy Island. Kirkjubøur village is considered the Faroes most important historical site and has a number of ruins dating back to the 1100s. Kirkjubøargarður (Faroese for Yard of Kirkjubøur, also known as King’s Farm) is one of the oldest still inhabited wooden houses of the world, if not the oldest according to Wikipedia. The old farmhouse of Kirkjubøur dates back to the 11th century. It was the episcopal residence and seminary of the Diocese of the Faroe Islands, from about 1100. The legend says, that the wood for the block houses came as driftwood from Norway and was accurately bundled and numbered, just for being set up. The ruins of the Magnus Cathedral (Kirkjubømúrurin), built by Bishop Erlendur around the year 1300 is very impressive. The medieval building was never completed and still remains unfinished and without a roof. The grass roofs of the traditional houses are very beautiful and something I have not seen anywhere else. What I am finding even more beautiful is the landscape of rocky outcrops, cliffs and islands jutting out of the sea. It is the stuff of dreams and magic and we can’t wait to experience more of this beautiful place. The past couple of days we have been slowly orienting ourselves to the Faroe Islands and our next month as part of the Clipperton Project (TCP). At the moment we are based in Tórshavn, the capital of the Faroes. 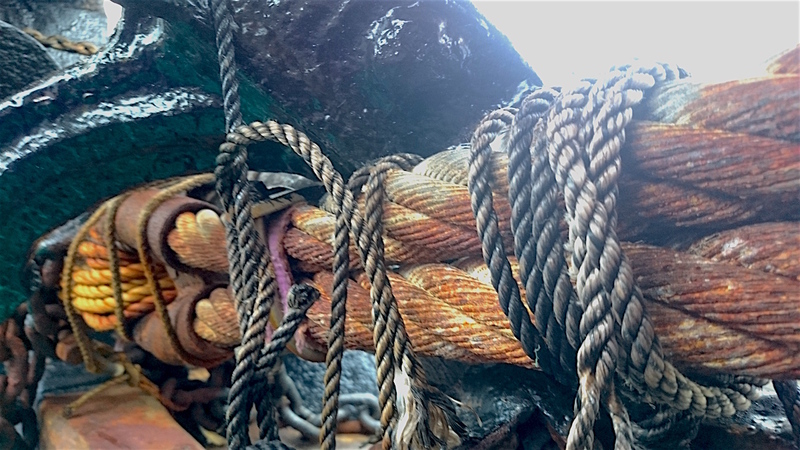 Tórshavn is a really gorgeous place – lots of interesting things to photograph! According to stories passed down for generations the Irish abbot St. Brendan in AD 565 went in search of The Promised Land of the Saints. One of the stories told of a visit to “The Islands of the Sheep and the Paradise of Birds” situated several days’ sailing distance from Scotland. Based on this story and archaeology excavations there is good reason to believe that Irish monks were the first settlers in the Faroe Islands. In the 9th century Norse settlers came to the Faroe Islands. These were mainy farmers who fleed from Norway and ended up in the Faroe Islands in search of new land. The special constitutional status of the islands was originally founded on the ancient viking tradition from the 9th century AD (all free men convened at the Althing, later called Løgting, in the capital Tórshavn). From the latter half of the 12th century on – when attached to the medieval Norwegian Kingdom – they further developed their own culture, language and other social institutions, while at the same time adapting constitutionally to the surrounding political contexts of coming and going empires reaching out from the Scandinavian heartlands. Little is known about Faroese history up until the 14th century. The main historical source for this period is the 13th century work Færeyinga Saga (Saga of the Faroese). Anyway, we have only just started our journey with TCP – will share more soon! Dragør is a well preserved fishing and market village, situated south east of Copenhagen. Dragør’s history goes back to about 1200, when it was the market place of huge Herring catches and much trading throughout the Middle Ages. There are some beautifully restored cottages, complete with thatched roofs and it is a real pleasure to walk along the little cobblestone streets. We are staying at the Strand Hotel, which is a very cute place and also full of history. Tomorrow we are on the move to the Faroe Islands where we will be participating in a Clipperton Project journey. We are really looking forward to being a part of one of these projects and hope we will make some good connections on the way and learn lots about the Faroes and its people. Well, after more than 30 hours in transit and a big walk this morning in the drizzle, we are officially in recovery mode – trying to avoid jet lag!! This year has been monumental in so many ways, a lot of projects developing all over the place which is very exciting. Tracey has been to NZ, USA, Australia’s Central Desert and Top End, as well as a few trips to Shepparton to work with Yorta Yorta Nation Aboriginal Corporation. The year is not over yet with another journey to work on a book project in NZ next month – ADA Booksprint. Anyway, we have been a bit slack with keeping up with the blog and promise we will do better! We have come up with an awesome (perhaps insane) idea that would enable us to travel the world, meet fellow travellers and learn more about this wonderful world we live in. We are tentatively calling this idea Old farts couch surfing the world. So I have a question for you dear Reader. Would you be prepared to offer us a place to stay on our travels? It could be spare room, a couch or even a tent depending on the climate. Think of it a bit like Humans of New York, where the story has a connection to place and people. The goal is to document the journey online with a mind to bring out a book when we complete the adventure. As people offer us places to stay we will add them into a map of our journey. People can also add in stories as we develop the project. The idea builds on the concept of our Cultural Strangers project, where we try to reveal layers of place through documentation, conversation and investigation.We love the concept of the world cafe as it seeks to use collaboration to build knowledge and share experiences for the betterment of us all. If you think that this idea if fun and would like to get involved please contact us. The recent earthquake in Nepal has bought back memories of an unforgettable trip I did the Nepal in late 2008, I hope most, if not all, of these places are still standing. Also see my subsequent post Ama Dablam Trek, Nepal – A Photo Essay.